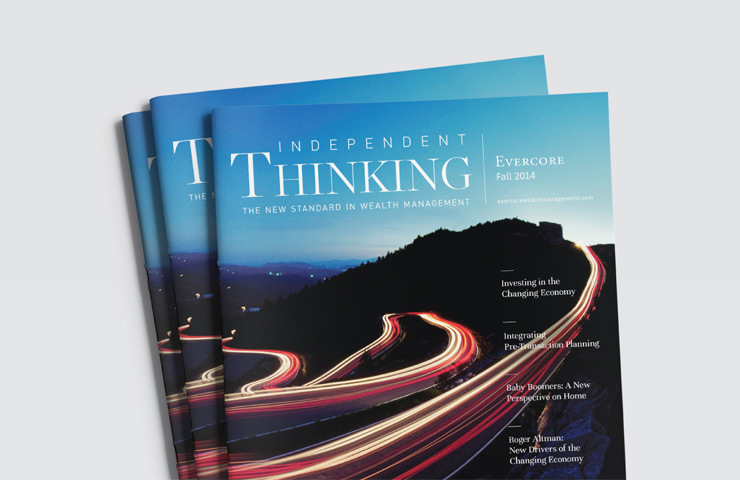 After designing a new client website for Evercore Wealth Management, our group applied the visual identity to a key marketing tool, Independent Thinking. 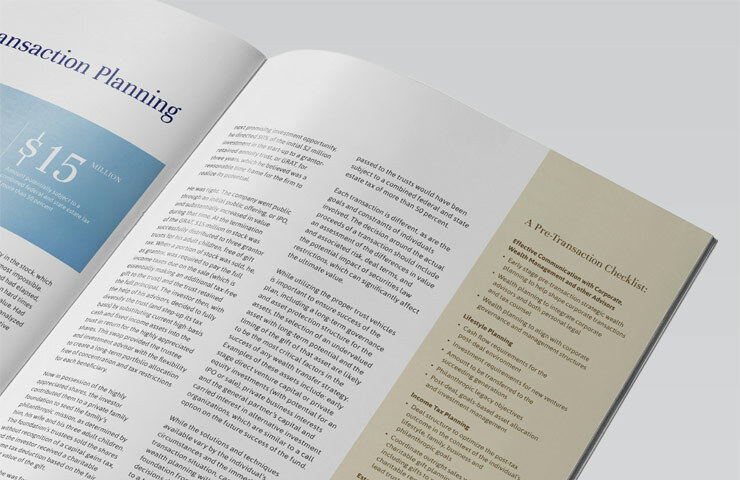 Working in collaboration with the client team, we challenged everything about their existing practice — adding pages to the publication, placing printing, procuring new photography, paper stock and finishes, and executing the first edition in order to provide a proof-of-concept and benchmark standards for all future issues. A new approach to illustrating content through photographic metaphors provided a provocative way to introduce articles. 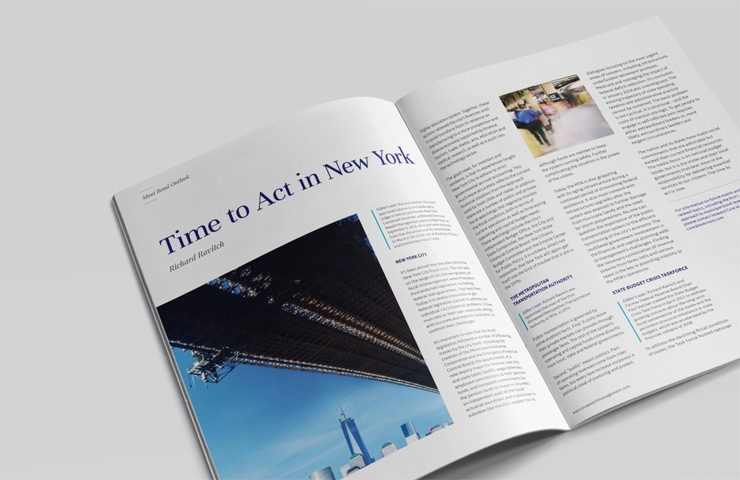 A new format design added a level of sophistication and credibility to the exceptional thought leadership content already being published by the firm. 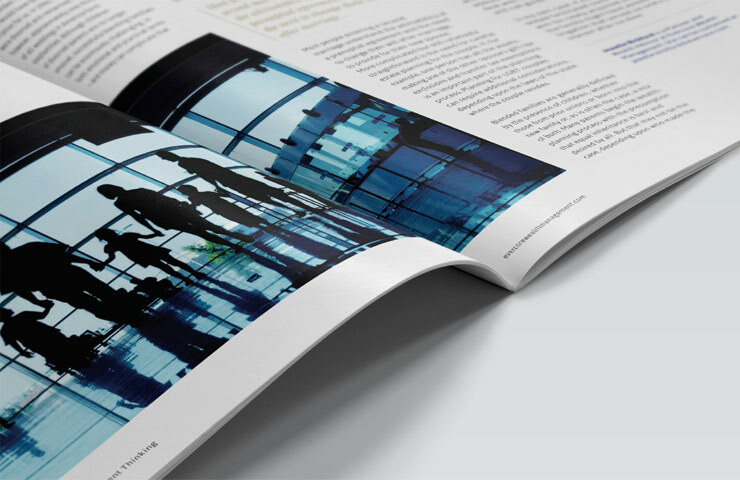 Ultimately, the new design was considered holistically with the website and digital communications of Evercore Wealth Management in order to ensure a consistent, cohesive system of marketing and communications.